The estimate for UFB becoming available here at home was January 2015, so I've been checking the Chorus coverage map regularly of late. Early last week, UFB up to 200 Mbps became available here according to that map. But when I enter our address into the address checker on any of the ISPs, UFB is not available. Is there usually a discrepancy between the Chorus coverage map and the data ISPS have, and if so, how long does it typically last? I send a lot of audio data offshore so can't wait for some serious upstream. Can be anything from weeks to months. You could try emailing your ISP and asking them to run a manual prequal if you believe their address checker is wrong. Have you seen people working in your area with signs on power poles in the area? Had a letter stating they are putting it in? If not, you don't have UFB yet, I do know they are pretty chocker so wouldn't be surprised if they are a few weeks behind. Thanks for that. 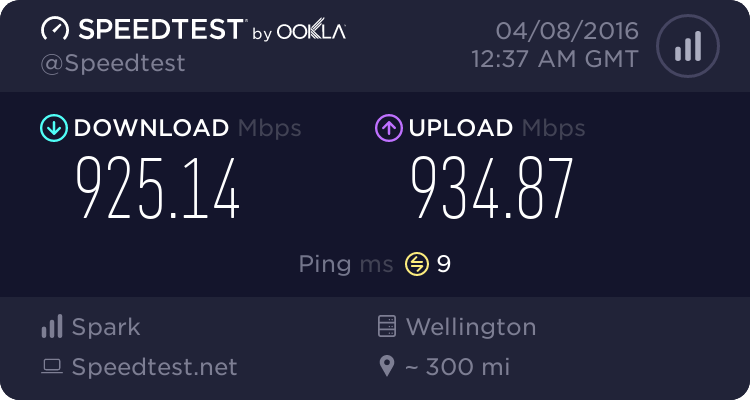 Bigpipe is my ISP but not uffering UFB here yet. I did ask another ISP to run a manual check for me and it came back negative, so guess I'll just have to be patient. 4possm: Have you seen people working in your area with signs on power poles in the area? Had a letter stating they are putting it in? Yes to both. Physical work has been seen to be done, and we got the letter. We'll be there pretty soon. Not too long to wait. Question: are you in a standalone single property that you own, or do you have a landlord, or maybe shared driveway? consent issues from 3rd parties (landlords, body corporates, your neighbours etc) can often hold up the process, so, if necessary you can always start canvassing those people ahead of time to make sure they are on board. That way, when you can order, you'll have the necessary docs to speed the process up. Touch wood, it's going to be really straightforward. I own the house, it's not in a shared driveway and the driveway's not particularly long. mine was the opposite. chorus say no ISP say yes. joker97: mine was the opposite. chorus say no ISP say yes. An ISP (of which I won't name) phoned up my Parents saying they can get UFB and VDSL plans through them, my Father was interested with UFB but lets say it was a cold caller with an Indian accent. Parents are on an ASAM in rural Wakefield, Nelson - Both my Father (who is a natural born troll) and I laughed about it. Interesting, I would have thought Wakefield would have VDSL, at least. Your pops a troll... surely not. Chip off the ole block then.